Zucchini, also called courgette or Italian green squash, is a popular summer squash that is long in shape and green or golden in color. A favorite among gardeners and cooks, zucchini demands some precaution when cooked or baked, when grown in a vegetable garden or when used as food for babies. Thoughtful, health-conscious mothers often make their own baby food from fresh fruits and vegetables. If your baby is less than six months old, do not give him a puree of zucchini. A young baby’s stomach is not suited to this vegetable, and serving it too soon to your baby can cause allergic reactions and serious digestive upsets. Even if your baby is six months old, it is a good idea to check with your pediatrician first before giving her zucchini. If the okay is given, all new foods should still be introduced to your baby separately and at least four days apart. Otherwise there could be potential digestive problems or allergic reactions. Once you do give it to your baby, it is wise to couple it with another food your baby likes because zucchini has a high water content and tends to be runny. Do not peel the zucchini for its benefit resides in its skin. Because some babies cannot digest the skin, it is better to wait until late in the first year before using unpeeled zucchini as baby food. 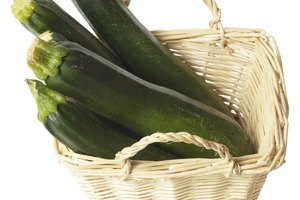 Zucchini is used in many recipes, including vegetable casseroles, bread and pancakes. An important thing to remember about cooking zucchini is to be careful when adding this squash to hot oil. It contains a great deal of liquid, and adding it too quickly to oil may cause the oil to splatter and burn you. A good precaution is to wear cooking goggles when frying zucchini. When baking zucchini, remember that it contains a great deal of moisture and you must always allow for this. In making zucchini bread, adjust the liquid content of the recipe so that the resulting bread is not runny or without form. If you are making zucchini potato pancakes, they will become soggy unless you first cut and salt the zucchini. Place it in a sieve and allow the excess water to drain out before cooking. 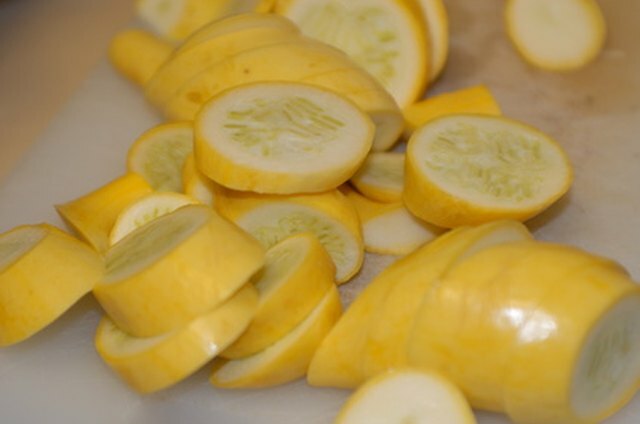 If you plan on growing your own zucchini, be aware that zucchini is susceptible to mildew. Powdery mildew is a disease that can be controlled by the use of synthetic fungicides such as fenarimol or benomyl. 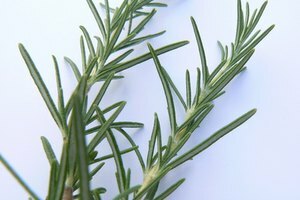 Organic gardeners prefer a natural remedy, and spray the plant with a combination of baking soda and either oil or soap. In 1999, a Brazilian researcher named Wagner Bettiol discovered that weekly sprays of milk are just as effective as synthetic fungicides in combating powdery mildew on zucchini. 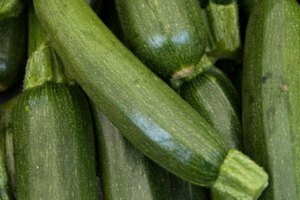 Concentrations of 10 percent milk and 90 percent water appear to work better than higher concentrations of milk, which can cause a fungus to grow on the zucchini. Although scientists are not certain why this works, it is thought that milk is a natural germicide and also provides salts and amino acids for the zucchini, boosting its immune system. Spray synthetic fungicides or mix your own milk solution and spray your zucchini plants once a week to control mildew. Pioneer Thinking: Got Mildew? Get Milk!